• Lightweight total club weight combined with an aerodynamic head shape help reduce drag and increase clubhead speed, for greater distance. • OptiFit Hosel allows golfers to adjust the loft of the clubhead and the directional bias to Draw or Neutral for the desired shot trajectory. • Variable Face Thickness and Hyperbolic Face Technology creates a larger sweet spot and fast ball speed for maximum distance. 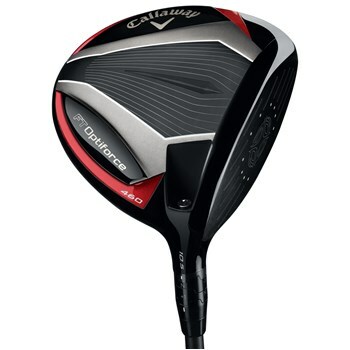 • 460cc head has a starting loft of 10.5 degrees and can be adjusted down to 9.5 degrees or up to 12.5 degrees in 1 degree increments while producing an easy launching, high trajectory with greater forgiveness.